It can be challenging to find keto-friendly finger foods for your little one, so in today’s post, we’re sharing some of our favorite bite-sized recipes. You can also make many recipes into finger foods by cooking them in bite-sized portions. For example, you can make Bite-sized Pancakes by preparing our KetoCal Pancake Recipe (3:1 ratio, 4:1 ratio or MAD) as you normally would, but pouring into tiny pancakes when cooking. You can also find mini pancake makers to make things easier- Here are some options. Serve pancakes alone or with carb-free pancake syrup for dipping! For a savory snack, you can apply the same concept to make Cheesy Tomato Bites by preparing our KetoCal Cheesy Tomato Wrap Recipe (4:1 ratio, 3:1 ratio, or MAD) as you normally would, but shaping into bite-size circles to cook (you could try the mini pancake maker here too!). Serve alone or with a savory dipping sauce! We don’t have to tell you that managing your child’s ketogenic diet can be tricky. As the kids head back to school, you may find that it gets a little more complicated. We’ve compiled a list of blog posts to help support you. From tips for informing the school about the diet to ideas for packing a keto-friendly lunchbox, we hope that this blog collection will help make your keto kid’s transition back to school as smooth as possible. We are excited to welcome back Dana Haddox-Wright, keto mom and guest blogger extraordinaire! Dana lives in Connecticut with her husband and two adorable daughters. Her 6-year-old daughter has Dravet Syndrome and has been on the ketogenic diet for over two years. As you prepare for your children to head back to school, we hope you will find Dana’s tips for packing a keto lunch box useful and timely. Be sure to check out Dana’s previous blog posts: “Tips for Making the Ketogenic Diet Fun” and “Ten Things That Only Keto Parents Would Understand“. Preparing food for children can be a daunting task, particularly when they are on the ketogenic diet. Kids on the diet are not always predictable. What they absolutely love one day, they may not want to touch the next. And the hours spent in the kitchen might drive any parent crazy (or to drinking, whichever comes first). The struggle is real for us. Just when we narrow down several “favorites” the kids love, we are then confronted with another challenge….SCHOOL. School policies on food vary by district, but most do not allow tree nut products. No macadamia nut, almond, or peanut-based foods are allowed much of the time. This significantly limits our fat options. If your child’s school cafeteria does allow nuts at designated tables, then you are ok. Other parents will need to get creative. Coconut is a useful substitute, but you may need to convince your school administrators that it is ok. When my daughter’s school told me that I would not be able to send in coconut based foods, I was confused. I contacted the keto dietician, and she told me that though coconuts grow on trees they are technically not “tree nuts,” and it is very rare for individuals with tree nut allergies to have a reaction to them. She wrote the school a letter that was shared with the school nurses, and problem solved. Once you know what you CANNOT send to school, you can experiment with alternate recipes. Try using coconut flour or flaxmeal in exchange for nut flours. Another helpful hint is to keep things simple. You can make delicious meals that do not require a lot of components or ingredients. A few of my daughter’s favorites that are not messy or complex include the bake and freeze pizzas (using flaxmeal instead of macadamia nuts), cheesecake, hotdogs with “awesome sauce” (low sugar ketchup and mayonnaise with cut up cooked hot dog mixed in) and a side of cream (made into whipped cream). Last, but not least, a nice water bottle with a keto-safe flavoring and some liquid stevia is a great alternative to the juice boxes that kids often have. Lunch period is time that kids socialize. Something to remember is that kids pay attention to what their peers pack in their lunches. Knowing this, I try to make my daughter’s lunches tasty and fun while meeting all the keto requirements. You may also want use the school lunch calendar as a guide. Attempt to mimic what the school cafeteria will be serving. Take time to listen to your children. If they say they want carrots or apple, attempt to work them into new recipes (assuming you have time in your busy schedule). In the end, it is all about making things easier while keeping our little ones safe. As the head keto-chef in my house, I try to prepare things that even I would want to eat. Think like an advertiser. Market to your child, and everyone wins. Find keto-friendly food coloring for cookies or cakes, or even for their water to add to visual appeal. On a diet that is so restrictive, there are ways to turn limits into opportunities. Know that the time you spend being a keto mad scientist, is time well spent. Your kids, whether they can verbalize it or not, will appreciate your effort. They will know that you put your love for them into everything including their school meals. 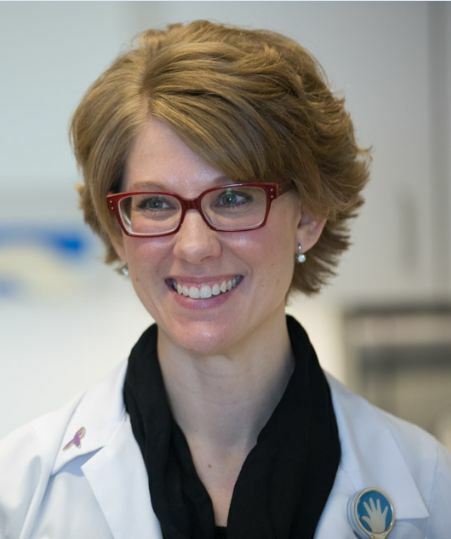 We are so pleased to share a special guest blog post today by Robyn Blackford, RDN, LDN, who is a ketogenic dietitian at the Ann & Robert H. Lurie Children’s Hospital of Chicago. She is also a Keto Ambassador. Robyn often receives questions from her patients’ parents about how to educate non-neuro medical professionals about the requirements of their child’s ketogenic diet. She compiled a list of her tips to share with all of you. Thank you so much for sharing your insights and knowledge with us, Robyn! If your child is on dietary management for intractable epilepsy you will soon find that you are the expert. It is safe to assume that most people are unfamiliar with the ketogenic diet. Sadly, this would also include many healthcare professionals. It is true that more and more people are hearing about the diet and understanding it’s general rules, but oftentimes I hear from families that they are the ones that are teaching other healthcare teams (besides their neurologist) the intricate details of the diet. Have you gone to your local pediatrician, dentist, or maybe even another healthcare team within the same hospital that manages your child’s diet just to find out that nobody else knows what to do in regards to the diet? Even the simplest illness such as a cold becomes a huge undertaking by the pediatrician. What used to be a simple dentist visit now takes much more planning than it did before the diet. Here are a few things to consider when your child has an appointment with another health professional outside of the neurologist’s office. Share info ahead of time. Leading up to the planned admission date for your child’s ketogenic diet initiation, you can prepare your other doctors for this major change in your child’s life. Share diet information that you receive from your neurologist and dietitian with your pediatrician and any other doctors or medical teams that they see. The authors of Keto Cookbook offer a sample letter that your neurologist can use as a template. Also, have the doctor’s office add “dextrose” as an allergy in your child’s electronic chart. This will help to flag medications that are prescribed to your child if it is in liquid form and not allowed on the ketogenic diet. Doctors’ offices usually review allergies with you at the beginning of every visit. This is a good time to reiterate that you child is following a special diet. Your child doesn’t have to try new foods. When you’re using the ketogenic diet for management of epilepsy, you get a free pass to use the same meals and snacks over and over again. Reminding the pediatrician and therapists of these things will help them to remember the specifics of the diet. They are used to encouraging their patients to try new foods, so give them a little leeway if you have to repeat yourself to them. Keep repeating yourself. I’m sorry that you’ll have to do this, but it’s true. People, even professionals looking at your child’s medical chart, have a short memory and may forget about the special conditions and extreme restrictiveness of the diet. People may not “get it” or take the restrictions seriously. You’re repetitiveness can only be helpful to avoid errors. Provide exact names or samples of products. If your keto kid needs a specific toothpaste at the dentist office or an exact consistency of liquids with the speech therapist, then help them out by offering a sample of the product your child needs or a list of acceptable options for use in that office. The more you “spoon feed” that professional information about what your child needs, the more likely you will have a successful visit that encourages compliance on the diet. It makes for a more pleasant experience in that office and you can focus on why you are there instead of focusing on the diet for so long. Be gentle and kind. You’ve heard the old adage: You can catch more bees with honey than you can with vinegar. Repeating yourself, correcting people and shielding your children from unwanted foods is exhausting. I understand. But, I also know that health professionals (who love taking care of your child!) will appreciate you and listen better when you handle them with the same kid-gloves as your keto kid. Showing appreciation to your health professionals will go a long way. They might just remember the diet guidelines easier when mutual respect is shared. In addition to the neurology team, keto kids may be cared for by pediatricians, emergency room professionals, dentists, community hospitals, surgeons, gastroenterologists, nurses, therapists and the list goes on. We hope this blog post has helped you to help your other medical teams take the best care of your child while on the ketogenic diet. Again, as a keto parent, you really are the expert! Do you have any experiences or advice to share with others? Please share in the comments below. 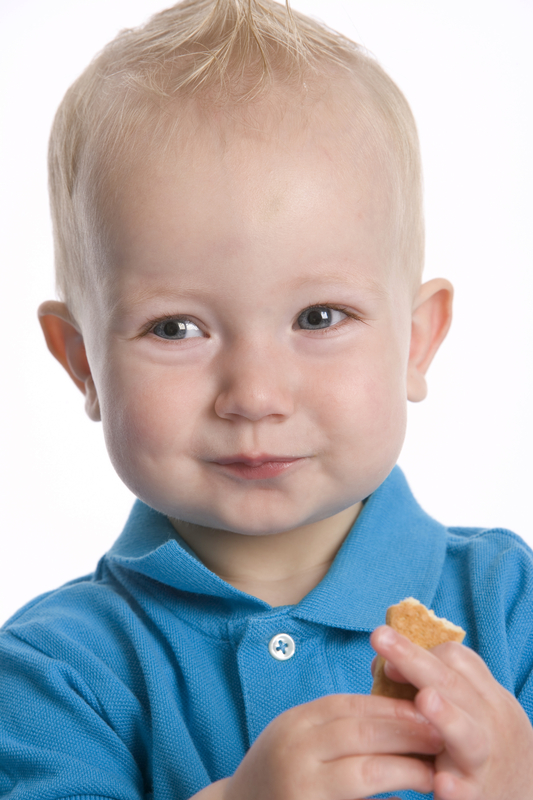 Moms, dads and other caregivers know that kids often change their minds, especially when it comes to foods and flavors. We all have our favorites but a little variety can help to prevent flavor fatigue, which can be a challenge for maintaining a special diet. Did you know that you can easily switch up the flavor of your child’s KetoCal by adding sugar-free, carb-free flavorings? There are several brands* to choose from, including DaVinci Gourmet®’s Sugar-free Syrups (which use sucralose) or SweetLeaf®’s Sweet Drops™ (which use Stevia®). From Double Chocolate to Strawberry to Cookie Dough, there are a variety of flavors to keep meal time fun each day of the week. The flavorings can be added to KetoCal 4:1 LQ Unflavored or Vanilla (which blends nicely with other flavors). If you have not used carb-free flavorings before, be sure to check with your health care professional to ensure that they are appropriate for your child’s diet. How do you spice up your little one’s KetoCal? *Please note that Nutricia is not affiliated with the flavoring brands listed above. These brand names are provided for information purposes only. This Sunday, June 21st, is the official first day of summer. This confirms what most of us are already feeling: It’s hot outside and only getting hotter! Cool off with some of our favorite cold KetoCal recipes. It’s hard to believe that summer vacation is almost here! Right about now, many of you are looking for summer activities, such as camps, to keep your little one busy over the break. Summer camp is an invaluable childhood experience full of fun, friendships and personal growth. But when your child has epilepsy, finding a suitable summer camp can be a bit more challenging. If your child is on a ketogenic diet, it can be even more complicated. Fortunately, there are camps that can accommodate special circumstances and there are even camps specifically for children with epilepsy. With some extra research and planning, you can likely find a camp that will work for your little one. 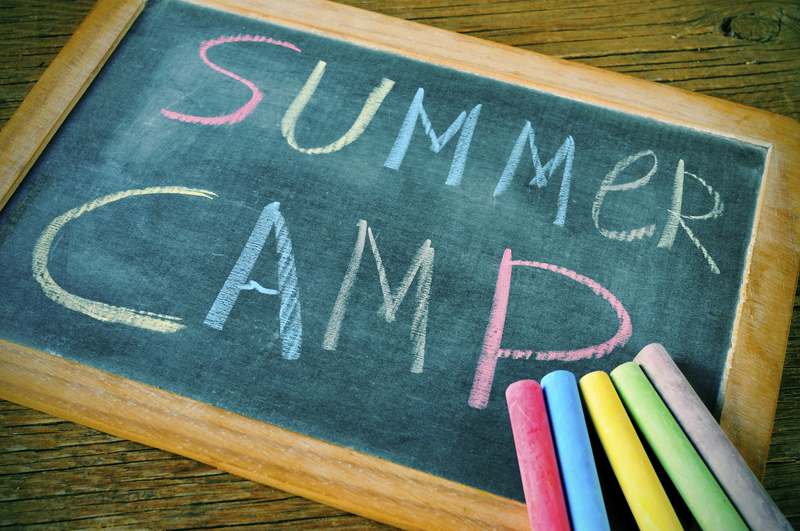 If you are eager for your child to experience summer camp but are unsure how to make it happen, today’s post will provide you with some resources to guide you. The first thing to consider is the type of camp that will work best for your child. In some cases, a standard camp (that is, not specifically for children with epilepsy) may work fine as long as the staff is made aware and prepared in case of a seizure. In other cases, a camp specifically for children with epilepsy, with medical personnel on site, is the best option. Some parents prefer this option because it allows their child to make friends with other children with epilepsy and just be “one of the gang”. You and your child’s health care provider are the best judge of which option is most appropriate for your family. If you are searching for an epilepsy camp near you, the Epilepsy Foundation provides a great list of camps in each state. You can also contact your Epilepsy Foundation affiliate to learn about scholarship options. One epilepsy camp that is located near us and that we love is Camp Great Rocks. This camp is run under the medical management of the Children’s National Medical Center Neurology Team. If you live close to the DC Metro area, be sure to check it out–It’s a very special place! Once you choose the type of camp, you should also consider whether you are interested in a day camp, where your child attends during the day but comes home in the evenings, or overnight camp, where your child sleeps over at camp. There are also overnight camps for both children and their caregivers. Again, you are the best judge as to which option is most appropriate for your child. These days, many camps are able to accommodate children with special diets, such as children with food allergies, so they are likely able to accommodate a ketogenic diet, so long as you discuss it ahead of time and provide the food and specific instructions. If your child is attending an epilepsy camp, they may already be familiar with the ketogenic diet, but you should still be sure to discuss it with the camp ahead of time to ensure they can accommodate the diet during camp. In most cases, you will need to provide the food and special instructions for the staff. Note- KetoCal LQ works great as a substitute for a meal while at summer camp since it is easily transportable and requires no weighing or mixing! Hopefully this post has provided you with some tips and resources to help guide your camp selection process but, as you know, the best advice comes from other parents. Have any of your children attended summer camp on the ketogenic diet? What advice or guidance would you offer other parents who are considering it?